This is an A4 magazine, 32 pages. 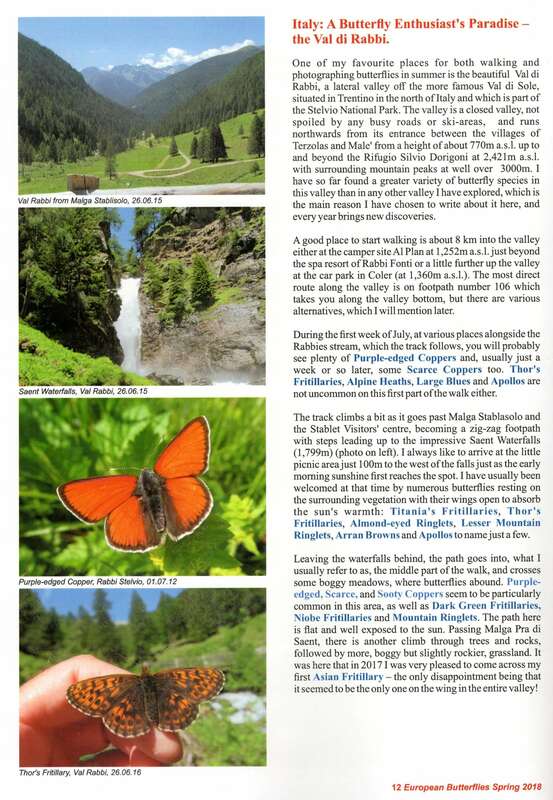 Articles in the magazine cover: Butterflies in the Picos Mountains in Spain, the Val Rabbi Mountains in Northern Italy and the mountains in Graubünden in Switzerland. There are special features on Hairstreaks in Spain, the Violet Copper in France and the Poplar Admiral in Switzerland. 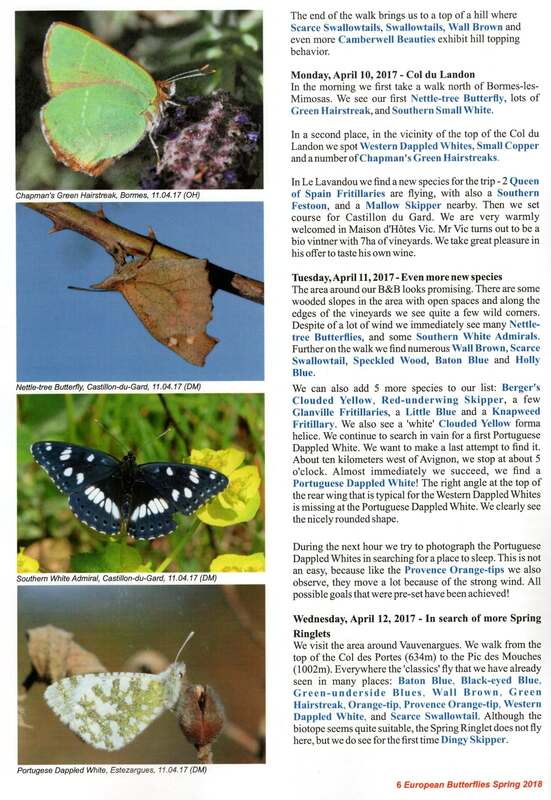 Butterflies in the spring are described in South East France and lowland butterflies are covered in Geneva in Switzerland. 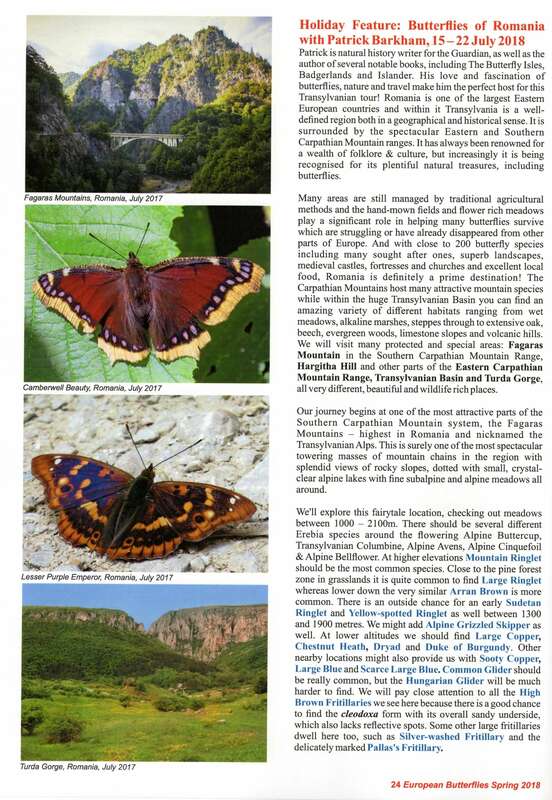 A Greenwings butterfly holiday in Romania is featured. 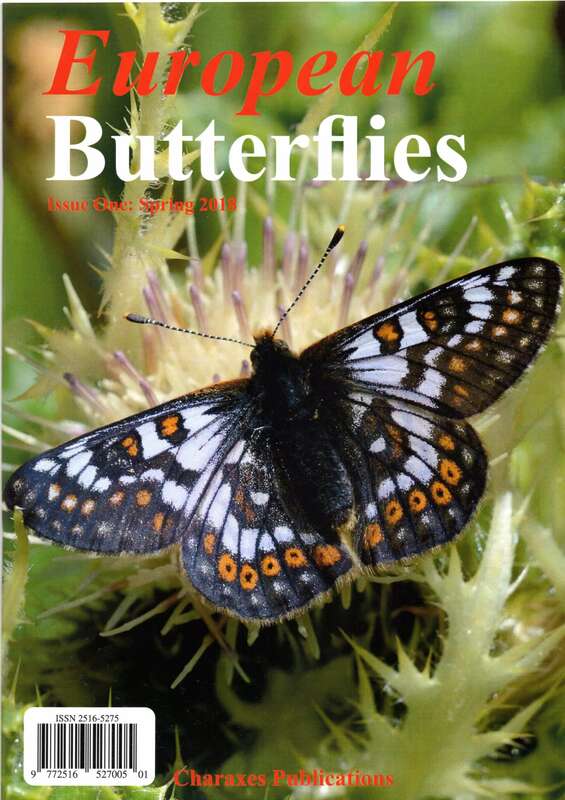 Contributors are butterfly enthusiasts and include: Matt Berry, Robin Fox, David Irven, Dave Maertens, David Moore, Tony Payne and Paul Wetton. Each page has a unique selection of photographs. All photographs are identified with the butterfly, date and place. Describes butterflies in sites in Spain, Romania, Switzerland, France and Italy.